Nodira is an enthusiastic multilingual Finance and Research professional with over 7 years of experience in international enterprises with local and overseas experience in accounting, financial control, legal and risk management and extensive academic background. 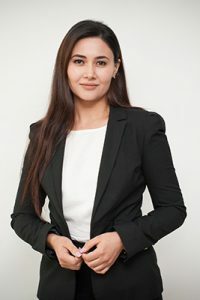 Nodira is fluent in 6 languages English; German; Japanese; Russian; Tajik; Uzbek and is a provisional Member of Chartered Accountants Australia and New Zealand. Prior to MCG, Nodira worked as accountant at Versal Property, which is a leading Australian based consulting company, providing personalized boutique services in residential property and international enterprises. Nodira has an honors degree from the University of World Economy and Diplomacy (Tashkent, Uzbekistan- Thesis: “The Influence of real exchange rate on foreign trade of Uzbekistan”), Master of Arts in Economics (Research), from the International University of Japan, (Full-tuition ADB (Asian Development Bank) Scholarship Recipient; Thesis: “Exchange rate volatility and international trade: the case of Japan”) and Master of Professional Accounting from the Australian School of Business, University of New South Wales.